Change Focal Length & Shutter Speed…. 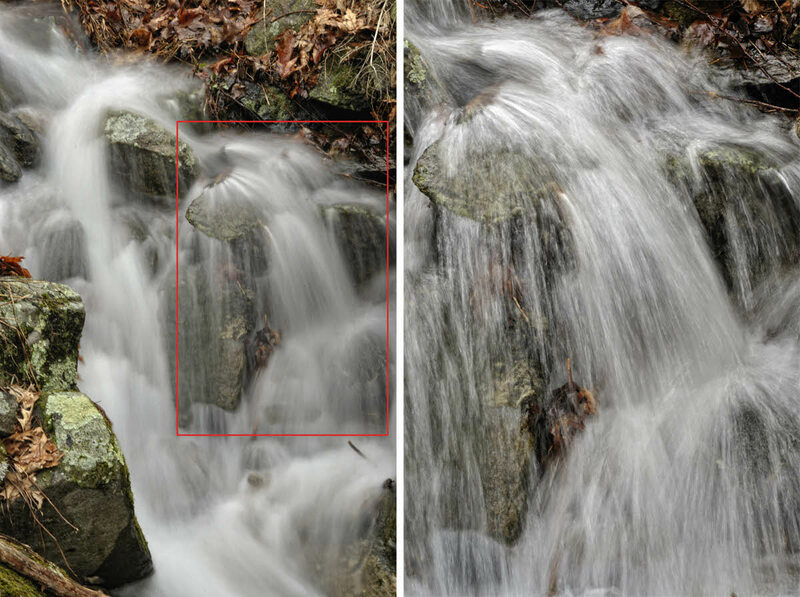 The right hand image is the area outlined in red in the left image – achieved in the camera by zooming in and not in Photoshop by cropping out. In the sequence of images leading to this pair, I started wide and zoomed in. That is my normal approach for all subjects ranging from broad landscapes all the way down to macros. I start from afar and move closer – with my feet and my lens/focal length selection. Outdoors, I will typically shoot from at least two (more often three or more) distances. At each distance, I will shoot at about three different focal lengths. This is discussed in this post of mine titled Get Closer. This entry was posted in Composition, Craftsmanship, Exposure, Focus, How did you make that image?, Motion and tagged Photography, Photography Composition, Photography How To, Photography Technique, Photography Tips, Photography Tutorial by Ed Knepley. Bookmark the permalink.